I had planned to celebrate with a big family dinner, but because Po didn’t want to make a big deal about getting older (typical two year old), he just ate a toothbrush instead. 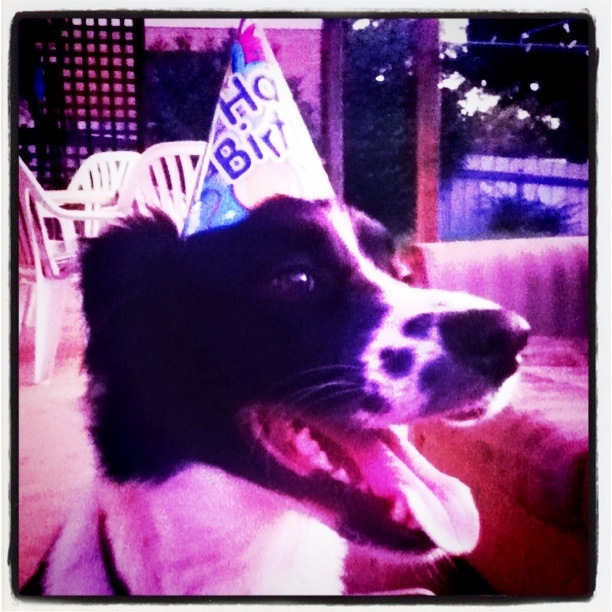 This entry was posted in General and tagged birthday, Po, puppy, Waugh Family. Bookmark the permalink. 3 Responses to Happy birthday, Mister Po! Second birthday, surely? Unless you mean “first birthday he’s celebrated” rather than “first anniversary of his birth”. For a moment there I thought that for once time was passing more slowly than usual. Just not paying adequate attention.